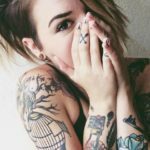 Body modification can be broadly defined as any procedure that is commonly done to deliberately alter the appearance of the body, such as tattooing, piercing and plastic surgery. Such alterations can be for aesthetic reasons, enhanced sexual pleasure, religious beliefs and self-expression. But how far is too far? Alterations such as circumcision and the Burmese Kayan tribal custom of wearing brass rings to elongate the neck are examples of traditions and religious rites of passage with a long cultural history. 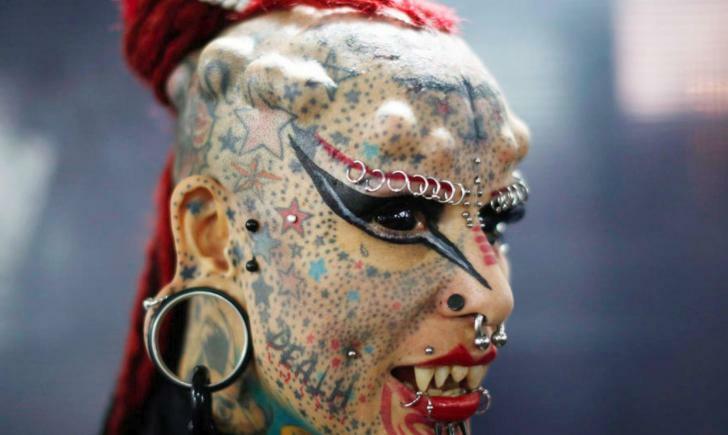 But what about more extreme body modification practices like branding and scarification, super extensive piercings all over the body (look at that chick in the picture, just look at her! ), implants under the skin, tongue-splitting (might be nice) and further invasive alterations? 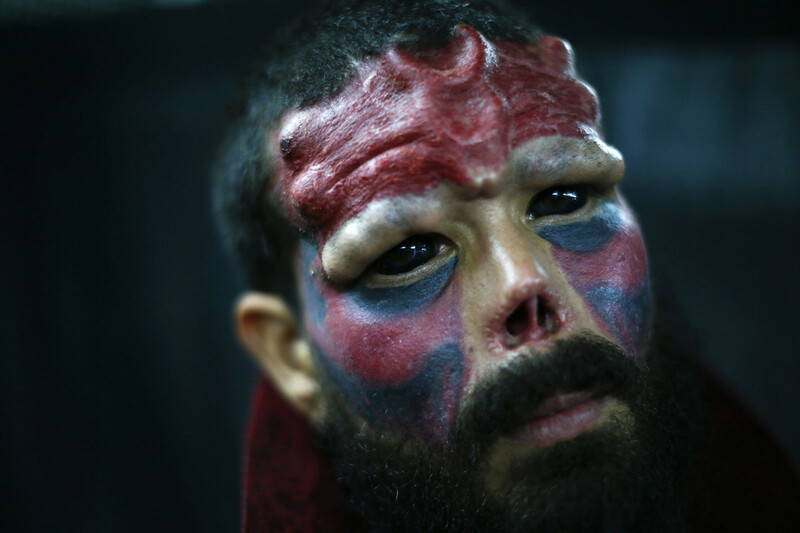 These mods beg the question: why do people choose to go so extreme?Aside from religious, cultural or aesthetic reasons, extreme body modification is more often about self-expression. Sub-dermal implants and artful branding may be implemented in order to shock and provoke, head-to toe scarification can be done to create intricate body art on a large scale or to show allegiance to a group or counter-culture. A desire to be different, to stand out from the crowd or join a particular crowd can be a compelling force, and many people who practice some of the more extreme methods of body modification cite this as a common reason for their choices.It’s strange; sometimes an act meant to set yourself apart from everyone else can actually further identify you with a larger group, albeit of likeminded individuals. Cosmetic plastic surgery has often been seen as a way to turn back time and delay the inevitable aging process by attempting to recapture that youthful beauty of yesterday (and the month before that and the year before that and the decade before…). Alright, I understand. Who doesn’t want to look good forever? But we’ve all seen examples of plastic surgery gone waaaay to far. It’s a fact: too much intervention can cause lasting damage and disfiguring results. This is where much of the controversy surrounding body modification lies: on issues of disfigurement and potential body dysmorphia as well as possible complications from carrying out invasive procedures on non-medical conditions. But let’s be fair. It could also be argued that most of us engage in simple acts of body modification every day but don’t consider it as such. They’ve become so ingrained in our daily lives that we don’t consider common grooming practices like styling hair, applying make-up, shaving etc, to be forms of modification. (Some would just call this ‘Upkeep’) We live in a society that constantly bombards us with images meant to show what is attractive and sexually desirable, and as a result, most of us tinker with our body’s appearance on a regular basis. The quest for “natural beauty” remains an obsession even as we stray further away from nature to attain it. We customize our appearance through clothes and hair – perhaps body modification is simply taking customization to the next level?